Done right, HVAC optimization can deliver significant energy savings — which means reduced operational costs—and contribute to achieving sustainability mandates. Done without comprehensive scoping and planning, however, a significant number of HVAC and other energy conservation projects will fail to provide the projected savings. For example, an engineering site assessment at the University of Maryland’s Institute for Bioscience and Biotechnology Research (IBBR) found that even a new chiller plant with few operational maintenance issues could be made more efficient. Before optimization, the plant was consuming energy at 0.9 kW/ton and operating at just 50 percent output. In the first year of optimization, IBBR’s plant cut energy use by an average of 30 percent. Facility operators must be confident that operational requirements will continue to be met when optimization is active. As part of the initial feasibility study, any optimization project should quantify operational restrictions that would constrain optimization — and ensure the product can operate within those restrictions without using more energy than is needed to meet them. An optimization provider should identify system requirements and develop a plan for addressing them with the lowest possible energy input. The solution could be as simple as adding an occupancy schedule and night set-back set points to an air handler or installing a dedicated AC unit to provide cooling to a specific piece of equipment, allowing the chiller plant to shut down when it’s not needed. Most facilities have dialed-in operational set points and procedures meant to fulfill worst-case conditioning and ventilation requirements. Often, systems operate at these set points even when they do not need to. Air change per hour (ACH) requirements, for example, don’t need to be fulfilled 24 hours per day in facilities that are not occupied around the clock. 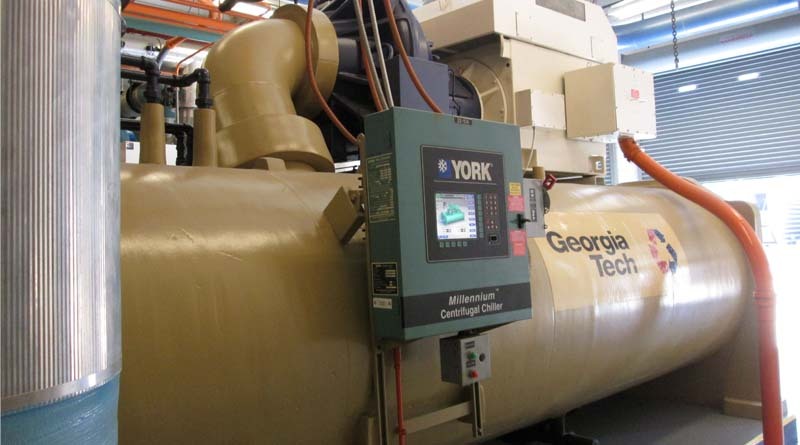 A particular piece of equipment that requires cooling may cause a whole chiller plant to run, even when it is the only load in the facility that requires cooling at a given time. A feasibility study can find other hidden details that sabotage energy efficiency. At a pharmaceutical manufacturing facility, Optimum Energy conducted a feasibility analysis, followed by a detailed scoping study, that revealed the ideal solution was to optimize 35 of the 60 air handling units (AHUs). For these AHUs, we determined the retrofit scope needed to optimize each unit. The first priority was to get each AHU up to good working order before implementing optimization software. When Georgia Tech pursued optimization, for example, it had to ensure that the project would provide enough savings to repay a loan from the state. So in addition to an environmental site assessment, the project team did an investment-grade audit — which took three months and covered four years’ worth of operations. With nearly $1.5 million in anticipated annual energy cost savings, the payoff is assured. Many project managers go the traditional route of requesting multiple bids, but the road map should be developed in partnership with the contractors who will do the work. Since optimization is not yet a commoditized product, the bid winner typically is the one who provides the least optimization at the lowest price, which results in missed savings. Someone must coordinate the many activities and ensure that each part of the optimization project is installed correctly. The key is an engaged project sponsor or owner’s representative. Once the project is completed, facility personnel must monitor and report on the optimization. “If you’re not measuring it, you’re not optimizing it,” is a useful mantra. Periodic reviews of optimization will prevent performance drift and ensure that the project achieves the projected savings. Optimization starts before any construction is done or software is installed and continues with measuring progress once the project is complete. Following the simple formula of comprehensive scoping plus planning will result in energy and cost savings at every site, every time. Fred Woo, PE, is manager, engineering at Optimum Energy, where he manages a team of engineers with extensive experience in optimizing HVAC systems for sensitive environments.